According to the DMA National Client Email Report 2015 email marketing has a ROI of 3800%, delivering really strong performance for companies and brands. In monetary terms in 2015 email marketing had an average ROI of £38 for each £1 spent. So let’s get emailing! But what should you emails contain? Not every business has a special offer or discount they want to target customers with, or a new product launch or service they want to promote. 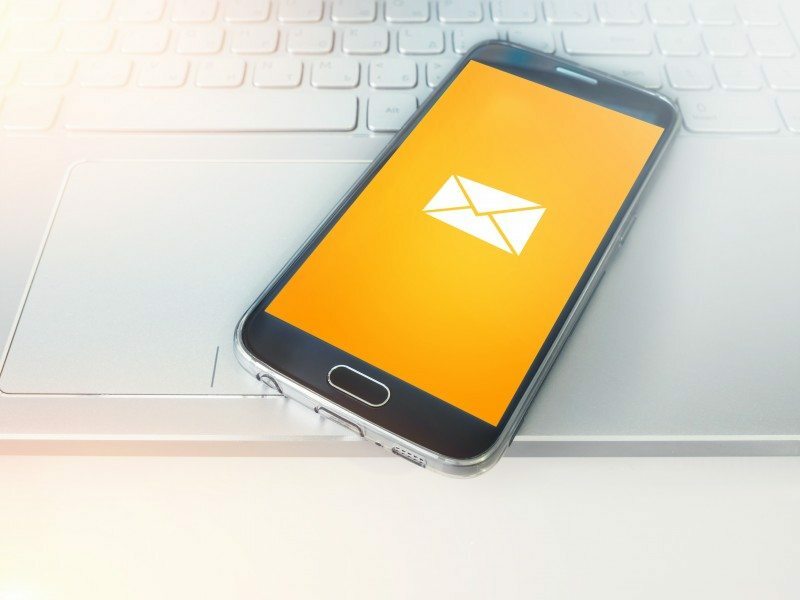 Many organisations just want to send out regular email newsletters to raise brand awareness amongst prospects, and to keep their business at the forefront of customers’ minds. Regular email newsletters act as a great reminder for prospects and existing customers. For example when that client forgets to call you about upgrading their service contract, your newsletter pinging in their inbox could be just the nudge they need to pick up the phone. Email newsletters can also help nurture prospects by providing them with interesting and relevant content, engaging them with your company. They can also be effective at reaching people not on your email list, if recipients forward them to contacts; and as the figures above show, they drive sales. Do you have a genuine piece of company news you can share with your readers? Think about your target audience; what’s newsworthy about your business that will interest them, raise your profile, and convince them to do business, or continue to do business with you? Similarly, industry news can also engage your audience and reflect well on your business. If your organisation claims to be an industry leader, then you can help validate this be demonstrating your knowledge of the sector – even if it’s sharing content from other sources. What do you think of the latest report into trends in your sector, what about technological developments and how they will impact on your clients, or what does that headline grabbing news story mean to your business and customers? For many organisations their website is a fertile ground for converting prospects into leads, and no more so than through the company blog. If you blog regularly include excerpts and links in your email newsletters that will drive recipients to your website where you can then engage them further. We advocate an integrated approach to marketing where your blog posts support particular campaigns or business objectives. Therefore the email newsletter provides an opportunity to gently push customers through a sales funnel – from the newsletter to the blog post, then from the blog to specific landing page or CTA. Another way to nurture a prospect and add value for your existing customers is to provide helpful information in your newsletters that address their needs. This could be some practical advice on how to use your product; or, in the case of a service provider, tips on getting the most out of your knowledge bank, online resources or customer account. This supportive information is a great way of demonstrating customer care, and therefore helps build relationships with prospects, leads and customers. You don’t have to have something new or a special offer to feature a product or service in your newsletter. Seasonal products lend themselves extremely well to this format, as readers can immediately understand the value they deliver. Bestsellers are also a good choice; the fact that they are bestsellers validates them in the eyes of the recipient. If you operate as a service provider it makes sense to feature services appropriate to different readers. For example if your newsletter goes out to segmented email lists, prospects receive it with an ‘entry level’ service featured, whereas existing clients get information about additional services or upgrades. A short synopsis of a recent case study is also good material for newsletters. This works on several levels 1) giving readers an idea of the types of customers you work with, 2) providing an opportunity to share the reasons your customers buy from you, your solutions and the results you deliver, and 3) validates what you say about your business and your product. The adage that ‘people like to buy from people’ is very true. Introducing your team through your newsletter is a good way to engage readers with the people in your business. You might like to feature one member of staff each time or a whole department, or share information about individuals if they reach a particular milestone or do something notable. As with case studies a testimonial is a good way to validate the claims you make for your business. Testimonials only need to be a short quote that sums up the benefits of your services / product or the customer experience, but could be linked to a case study or product page on your website. A great way to do customer or market research, collect more data on your client base, and get unique statistics that you can use in your marketing, is to conduct surveys. These can be short and sweet – even just one question that recipients can answer using a ‘yes’ or ‘no’ box, or more in depth surveys that could become benchmark reports for your business and industry. One simple thing that some organisations leave off their email newsletters is a CTA. What do you want readers to do next? Why not encourage your email database to engage with your business on social media – follow you on Twitter, Facebook, Instagram and LinkedIn? This will provide you with more opportunities to reach these people, both through future emails and updates on your social media channels. I hope that this list has inspired you and you have lots of ideas for your next email newsletter.